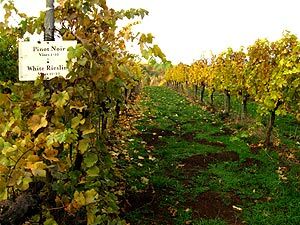 Oregon's wine country will be hopping over the weekend with over 100 wineries having special events. (Portland, Oregon) – The Oregon office of AAA is predicting a growth in travel in the northwest for the Memorial Day Weekend, and yet gas prices seem to be staying level. “Pump prices usually rise as Memorial Day approaches, but that’s not the case this year,” said Marie Dodds, with the AAA. “The national average for regular unleaded plummets eight cents this week to $2.78, while Oregon’s average drops a nickel to $2.92. Dodds said the lower gas prices are a result of the steep drop in crude oil prices. Crude hit its high for the year around $87 a barrel in early May, but has since dropped to the $68 to $71 range. Troubles in Greece are tempering the appetites of investors. Falling gas prices are good news for Americans planning to travel over the long Memorial Day weekend. AAA projects the number of Americans traveling over the Memorial Day holiday weekend will increase 5.4 percent from 2009 with approximately 32.1 million travelers taking a trip 50 or more miles away from home. In the Pacific Region (Alaska, California, Hawaii, Oregon and Washington), Memorial Day travel is expected to increase by 7.8 percent with 5.1 million people taking trips. Gas prices are about 40 cents a gallon higher than they were last year at this time, but are down several cents from a month ago. Dodds said this is the first increase in Memorial Day travel since 2005. Since 2000, the Memorial Day holiday with the fewest travelers was 2009 with 30.5 million, while 2005 had the most travelers at 44 million. “One reason the growth rate here is higher than other parts of the country is that the Pacific region is not hampered by the impact of the huge oil spill in the Gulf of Mexico,” Dodds said. AAA offered some other interesting statistics about travel, which harbors good news for travelers and some good news for travel businesses. - Most people traveling over the Memorial Day holiday will do so by car, with some 28 million - or 87 percent of all travelers - planning a road trip. This is an increase of 5.8 percent from last Memorial Day. - In the Pacific Region, 4.3 million - or 84 percent of all travelers - are expected to travel by car, an increase of 8.3 percent over last year. - Trips by air nationally are expected to grow slightly with 2.15 million flyers expected over the Memorial Day period. This is an increase of 2.4 percent from 2009 ago when 2.1 million flew. - In the Pacific Region, nearly half a million flyers (480,000) are expected, an increase of 5 percent. - AAA says the average distance traveled by Americans this Memorial Day holiday weekend is forecast to be about the same as last year, 626 miles compared to 620 in 2009. Average spending is estimated to be $809 this Memorial Day. - We're traveling a greater distance and spending more in the Pacific Region. Average distance traveled here is 842 miles, and we'll spend $1,052. - Airfare and lodging costs are similar to last year, lodging costs are a bit lower, and retail gas prices are about 50 cents a gallon more expensive than in 2009.